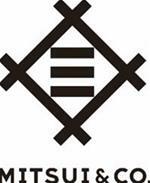 IMPCA is an Association of Companies that are active in the global methanol market. The membership is open to companies that are active in the production, marketing and consumption for use as feedstock or fuel, as well as to service providers to this industry. IMPCA maintains a global Methanol Reference Specification, along with a Methanol Sampling Method and generates academic interest in activities related to the methanol industry. Our mission is to provide an effective means of communication to our members in matters of general and specific interest. and address issues of general interest to the industry. The Technical Committee, is looking for additional expertise from members, producers in particular, to meet the increasing challenges they are confronted with in their work. Interested members should contact info@impca.eu for further information. The IMPCA Methanol Reference Specifications, updated Dec. 2015 are now available for downloading. A subcommittee, chaired by Mr. Peter Meeusen of Inspectorate BV, Rotterdam, was formed in 2013 to prepare a proposal for procedures which lead to the publication of an IMPCA Inspection Manual for use during Surveying Operations. The first official version of the document IMPCA Methanol Sampling Methods was launched in November 2014. Click below to consult / download. 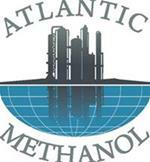 "Procedures for Methanol Cargo Handling on Shore and Ship".